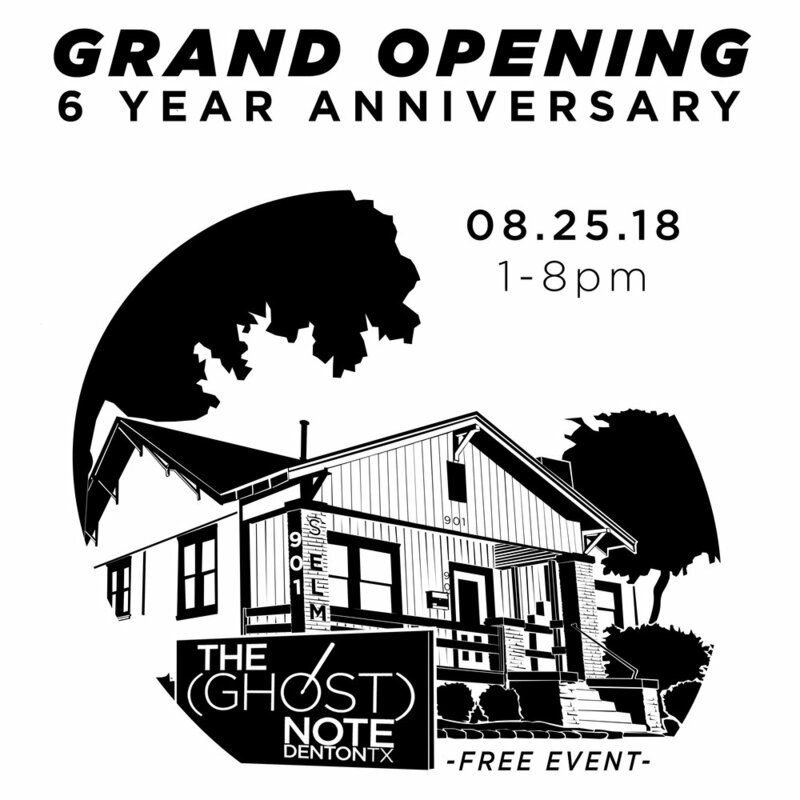 Get out to the house Saturday August 25th 1-8pm for our Official New Location GRAND OPENING & 6th Year Anniversary Party! The (Ghost) Note opened it's doors August, 25th 2012 on the Square in Denton, TX. Now we're very proud to bring Denton a whole new drum shop experience and learning atmosphere at our brand new location just off the Square at 901 S Elm St.